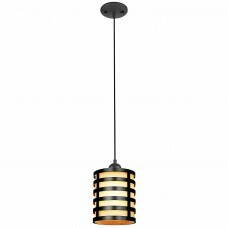 Offering casual charm, this vintage inspired one-light adjustable mini pendant will add a beautiful accent to any decor. The canopy, socket and decorative metal shade overlay boast a oil rubbed bronze finish, while the amber glass creates a comforting glow. Install this fixture in a variety of spaces like foyers, bedrooms, kitchens, office reception areas, restaurants, hotels or shops. The adjustable cord makes it ideal for high or low ceilings. 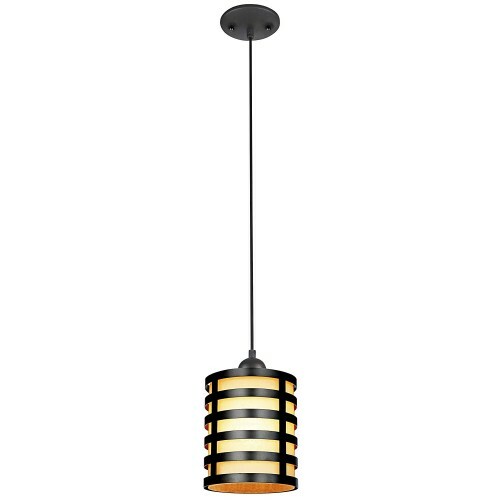 No matter where you place it, you will enjoy the fixture's soft illumination and casual look. The handcrafted nature of the glass shade will produce minor differences in design and sizing. Subtle variations will occur from piece to piece, adding to its unique qualities.